"I remembered how to live in the moment, how to just have fun, and when to let yourself lose track of time. I learned to think on my feet and solve problems quickly. I admired the maturity, individuality, and kindness of my campers. There were so many times I caught myself laughing, realizing that at that moment, I had not a worry in the world." When I first came to Miniwanca in 2014, I wasn’t sure what to expect. I had heard from friends about its beautiful property and healing energy, but did not believe it would live up to the hype. My summer as a Cabin Leader was filled with growth, reflection, increased self-confidence, endless laughter, and the ability to dance like no one was watching. I had never considered myself particularly shy or self-conscious, but I had no idea the personality I had been hiding behind the desire to be “perfect” and/or well-liked. I left the summer behind not sure what the future held. A sophomore in college, I knew the next few years would be filled with schoolwork and job searches and competing priorities that didn’t necessarily involve “summer camp.” But I knew this was not the end of my journey at Miniwanca. Sure enough, this summer I was lucky enough to join staff again, this time as a Four Trails Adventure Trip Leader. 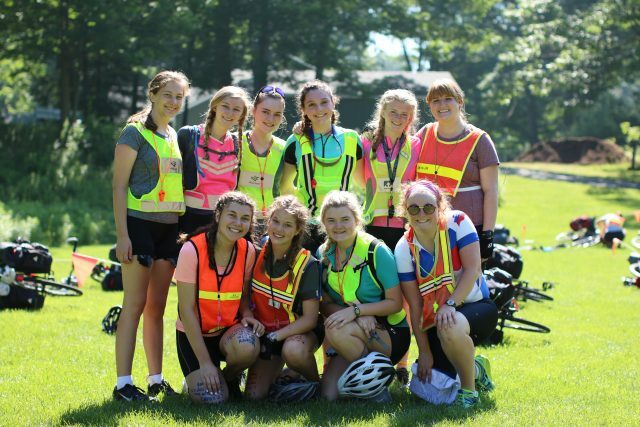 I had observed the Four Trails program in awe when I was a Cabin Leader; in fact, following Miniwanca’s Odyssey trips in 2014 was inspiration for my own cross-country cycling trip in 2016. Now it was time for me to come full-circle and lead a trip myself. I drove up to East Camp, again a little nervous and not sure what to expect, hyperaware of an unusually long absence between summers on staff. As the summer played out, I could not believe how much fun I was having. 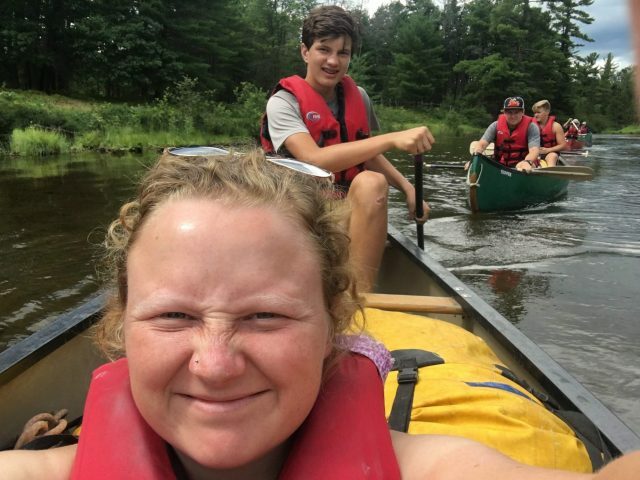 Leading eight 15-year-old girls on a multi-day cycling trip and nine 14-year-old boys on a 6-day canoeing trip was the time of my life. I remembered how to live in the moment, how to just have fun, and when to let yourself lose track of time. I learned to think on my feet and solve problems quickly. I admired the maturity, individuality, and kindness of my campers. There were so many times I caught myself laughing, realizing that at that moment, I had not a worry in the world. Miniwanca is the closest to Utopia I have ever experienced. Everyone is welcome. Everyone is loved. Everyone is allowed to be who they are. So it was especially remarkable when I found a fellow staff member with a similar career path as me, who told me she was soon-to-be starting a program called Change Corps. Change Corps is a training program for grassroots organizers. When Rachel told me about it, I had recently taken an interest in politics, and specifically working to elect ethical civic leaders to our local, state and federal governments. Change Corps immediately sparked by interest, and while at camp, I ended up applying, interviewing, and accepting a position to begin in August, 2 days after I would leave camp. So the journey continued. On August 5th I flew to Denver to start this next chapter. 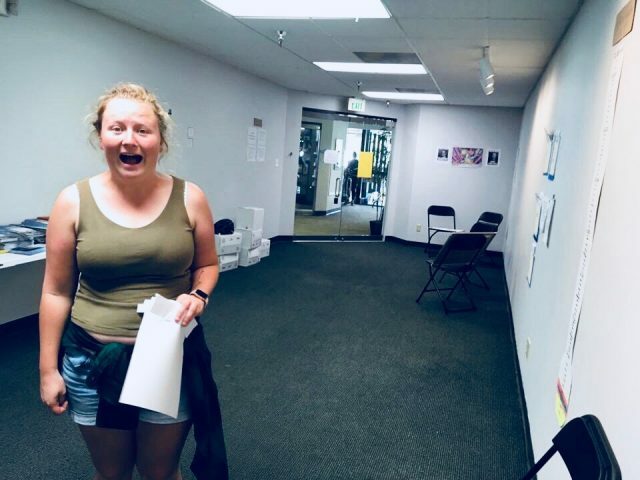 For most of the time since, I have been living in Boulder running a canvassing office, working to elect great leaders to the Colorado state government. I absolutely love it. Every day is purposeful, mission-oriented, and, yes, fun! The beauty of Miniwanca is that it has taught me to pursue my dreams while also staying grounded. Even on the craziest of days, I am able to close my eyes and picture myself on the Dunes and find the peace of mind I need. I am continuously evaluating my state of wellness based on the four folds. It’s not exactly the same, but a similar theme. Miniwanca has set a fire in me that I hope will never go away. It is developing the leaders that our world needs. It is teaching love, acceptance, inclusion, courage, and resilience. Miniwanca is forever a part of my journey, and I hope I am making camp proud.